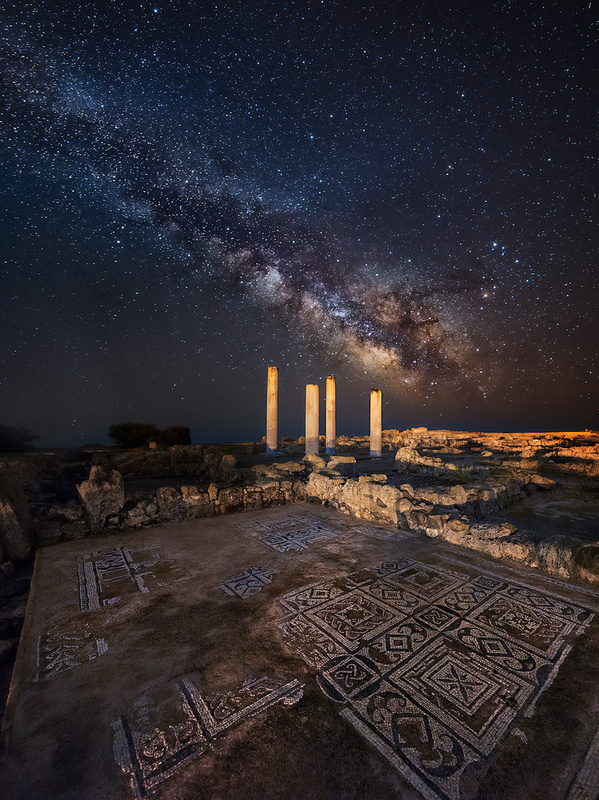 Milky way in archaeological site in a ancient Roman and pre-Roman town in Sardinia. The town came under Roman control after the conquest of Sardinia in 238 BC. It went into decline from the 4th century AD and appears to have been abandoned during the 8th century.